Michael Ferdman is the CEO of New York based digital agency, Firstborn. He founded Firstborn in 1997 and is responsible for managing the shop's internal business operations while maintaining its high level of commitment to client relations. At 95+ employees hailing from over 14 countries around the world, Firstborn is a vibrant culture of thinkers and makers. They develop insightful strategies rooted in consumer behavior and the digital space and turn those insights and strategies into experiences that consumers can engage and interact with, no matter the platform. Firstborn's roster of clients includes: Aflac, L'Oreal Luxe, Pepsi, Morgans Hotel Group, Keds and Redken. The agency been honored across the industry award circuit and press by the likes of Cannes, The Clios, The One Show, Advertising Age, Mashable, The FWA and more. Michael lives in New York City with his wife and two children. When he's not at the office or enjoying time with his family he can be found playing either hockey or basketball, building up his watch collection or messing around in his garden. I always knew I wanted to one day run my own business. I started working at the age of 14 and never stopped. No matter what job I had, I was always more attracted to delivering a great product or experience than I was to dealing in mass market appeal. I moved to New York City a couple of years after graduating from the University of Wisconsin and got a job working in the garment industry. It proved to be a unique and terrific learning experience and I was able to run my own show within a small yet very successful company, but there was only so far I could go. My cousin and I had always talked about starting a business together and we decided to move toward making it a reality. We saw the new media space as having huge growth potential. He was coming from a creative background and I brought with me the ability to get clients and service them. 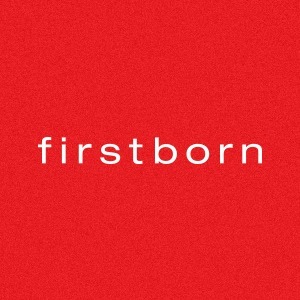 We launched Firstborn in 1997. Which campaigns that you have executed are you most proud of and why? We've done so many projects it's difficult to choose. Of course you always remember your first. In our case it was a flash and motion-heavy website for fashion designer YigalAzrouel. It was ahead of its time and people started to take notice. Shortly after we got a phone call from Madonna's people about a project and we were off and running. Firstborn spent years doing great work for big ad agencies which allowed us a lot of latitude and really helped us understand the nuances of big business partnerships. These were invaluable lessons. Those years yielded some unbelievable campaigns - Nokia's "Music Almighty" with Wieden+Kennedy; Microsoft's "Zune Journey" with T.A.G. and great Mustang work with Team Detroit. In more recent years we have been working direct with brands like Pepsi, L'Oreal and Keds to help bring amazing ideas to life through digital. We've seen huge success with campaigns like "UNIQLO Dry Mesh", a first-of-its-kind branding experience on Pinterest that had people talking everywhere and gained tons of recognition from the industry. Then one of our latest campaigns for Mountain Dew called "Every2Minutes" had over 8 million users vying for the latest Xbox online. It's fun watching your work take off. Of course some of my proudest moments are when we find time to help organizations in need through our creativity and services. We have done some beautiful work for not-for-profits like Pencils of Promise, Cycle for Survival and Sanctuary for Families. It just feels good. How does your firm stay successful in this digital era? Regardless of the era, this is a service business and the game is simple and straightforward. It's about having the right people and giving those people a real opportunity. One thing that's talked about a lot here about Firstborn is that we have no 'ceiling'. Having that sort of open-ended environment has served us well. We have never tried to act like anyone else and have always trusted our gut no matter how big or small the decision. What keeps us successful is our commitment to bringing in not just talented people, but gritty, hungry and most importantly humble people. What is your opinion on publicly traded advertising companies versus privately owned? We were an independent company for 14 years, and have been part of the Dentsu Aegis Network for the past 3 so I've had the rare ability to see it from both sides. What I've learned is that in both cases there are certain pressures along with certain advantages and there are tough decisions to be made on either end. We all want to be successful and we all need to make money. Bottom line, private or public, if you have strong leadership, a clear philosophy and the right people, your likelihood for success increases greatly. I'd argue creativity is the ability to think, act, build and imagine without definition - whether it's making ads, planting a garden, playing with your kids or anything else. What are the biggest industry trends and how do you capitalize on them? We look for trends that are more centered around moments in time where people begin to change the way they interact with things – or when things begin to change the way they interact with people. The 'quick' trends that come and go these days usually happen so fast, and agencies waste too much time trying to get clients to jump on the bandwagon when in most cases it's probably not even right for that client's business. At Firstborn when we notice a new mobile technology that is fundamentally changing the way people sell / purchase products (Square) or a behavior that is emerging that we think may change the way people may interact with digital touch points around them…that's when we pay attention and begin to draw lines to how those trends can positively affect our clients’ businesses. It would be easy for me to just tell you about an unbelievable coach I had or one of my many mentors along the way, but the truth of the matter is that though I have been inspired by many people, it is really those who have impressed me the least who have influenced me the most. It's the people I have encountered throughout my work-life who say one thing then do another or have no respect for their employees. People with poor management skills and terrible attitudes. Those are the people who have shaped me. I consider it my number one responsibility to make sure the people at Firstborn never have to experience that type of environment. The truth is the easiest story to remember. What literature is currently on your desk or Internet browser? More of the same and then some. Do unbelievable work, keep up with the traditions that keep our culture strong, work with clients who inspire us and continue to build a company of people who inspire one another.